Discussion in 'Heroes of the Storm' started by xero, Jun 3, 2015. Heroes has a ton of depth, it's very well balanced (though not perfect), and nearly every cast member is a blast to play. It achieves almost everything it sets out to accomplish, so I really hope it catches on with the non-believers and continues to grow. Heroes is perhaps the most accessible MOBA ever created - which can either be a good or bad thing for you. Regardless, you're getting Blizzard-level production values - at Blizzard prices, if you choose to spend money. For what it is, Heroes is a great game with some room for improvement. Whether "what it is" appeals to you or not is a matter of personal preference. Heroes of the Storm has taken huge risk by being an action RTS with an emphasis on team-play and early action, but it's all paid off. It has demonstrated that astutely straying from norms is how you revolutionize a genre. For fans of Blizzard's IPs, it's a game that holds tremendous value despite its free-to-play nature. For others, it's an exceptional multiplayer game that merits consideration. 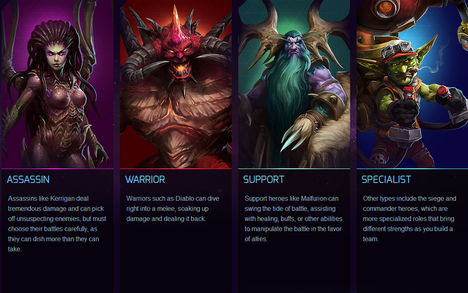 Heroes of the Storm is the newest MOBA game that really conquers our hearts. Blizzard reinvents the MOBA genre with unique features in an easy to grasp game. PH Hots players where you at?